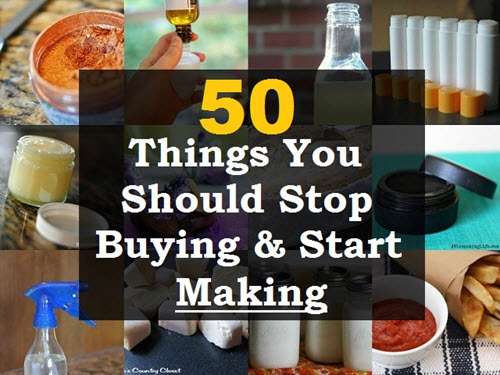 “Stop buying and start making” is an excellent battle cry to help you stop using premade products and start making your own items and gain the full knowledge of every ingredient and every ingredients purpose. In addition to foods, this great tutorial will walk you through how to make products using all-natural ingredients. The tutorial includes links for each recipe and helpful comments that offers some insight into each item. To give you an idea of some of the items you can create, the tutorial’s author breaks it up into four product categories: food, personal care, beauty & makeup, home, and cleaning. You’ll be surprised at just how many items can be made and just how easily it can be done.